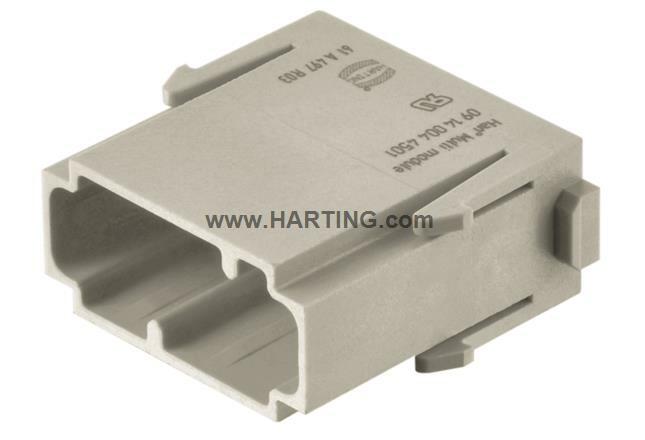 Are you looking for compatible components to article Han Multi module, male (09 14 004 4501)? Now click on Industrial Connectors to start the configuration. It is already initialized with the properties of the article 09 14 004 4501, so you dont have to enter these again. Details When removing the contacts, the two-piece module can be opened using a 7mm screwdriver. This destroys the module.